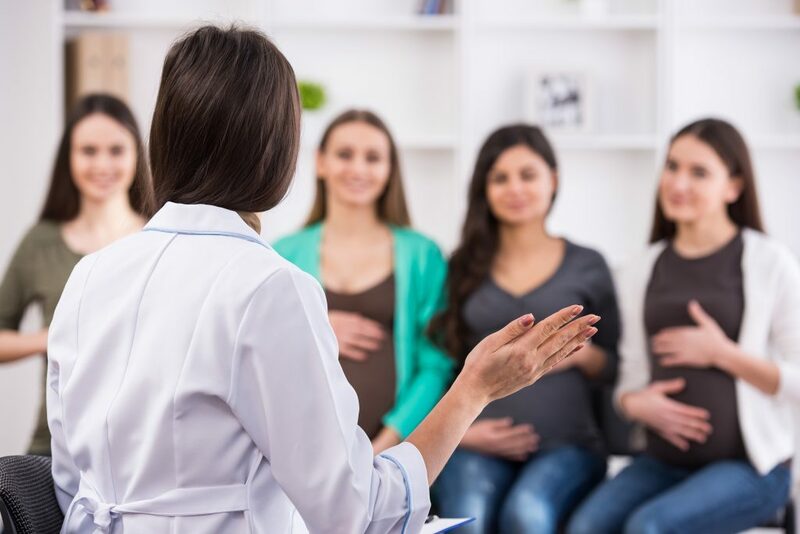 The Haldimand-Norfolk Health Unit offers two convenient options for prenatal classes: in-person or online. Register today! In-person prenatal classes are offered in Simcoe and Caledonia at no cost. Prenatal classes provided by Haldimand-Norfolk Health Unit and EarlyON Child & Family Centre. Our prenatal classes run for a total of five sessions, once a week for 5 weeks. Classes are held in the evenings from 7 p.m. to 9:30 p.m. Classes are led by a Public Health Nurse and are informative and relaxed, with lots of time for questions and discussion. New online Prenatal Classes coming soon. Stay Tuned! Why should we take prenatal classes? Know the signs that you’re in labour. Learn what to expect during labour and birth. Learn how to cope with labour pain with and without drugs. Learn about breastfeeding and how to get started. Find out about resources in your community to help you care for yourself and your baby…and much more! Participants will receive the book “The Joy of Parenting”, a resource manual for parents of children from birth to age two. For more information, resources and websites on having a healthy pregnancy, visit our pregnancy page.